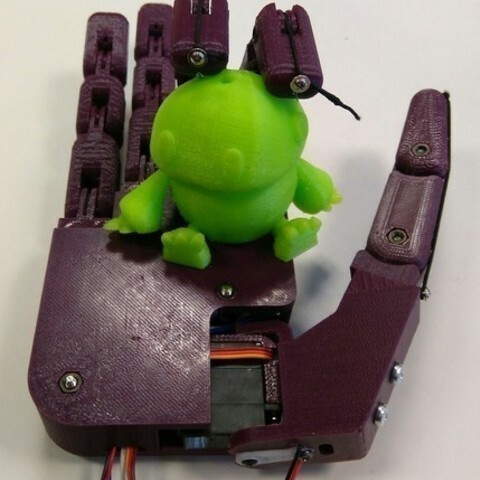 SummaryDextra is a printable human-sized robotic hand developed at bqlabs, bq Innovation and Robotics department. 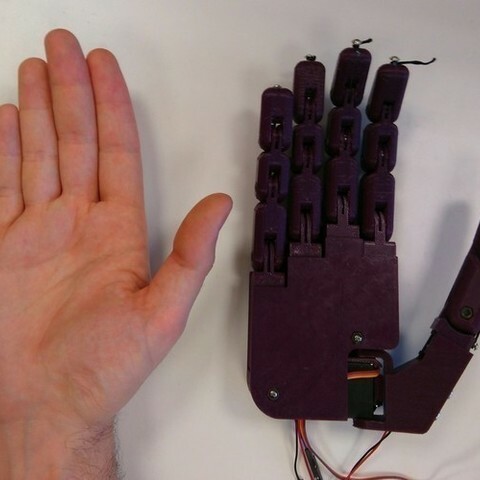 This hand is being developed as a part of a project aimed to develop open source robotic prostheses. 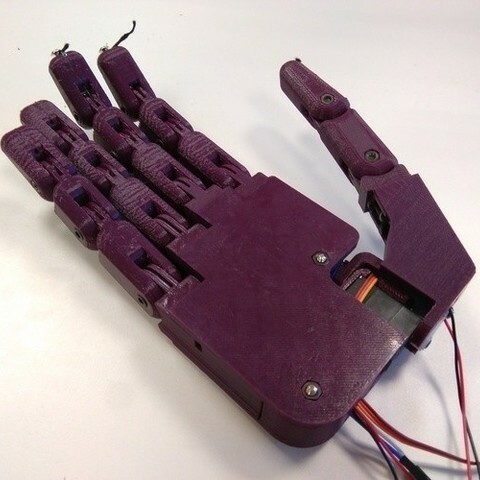 The key design points of Dextra are: adaptive grip, compact size, mechanical simplicity and ease of replication.